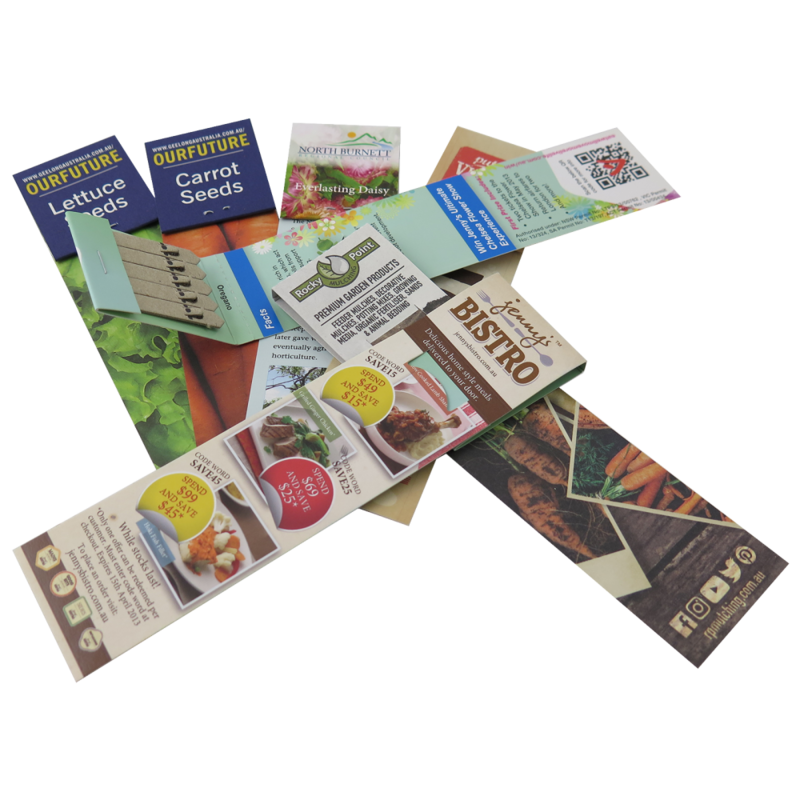 The Seedsticks Bookmark pack has a tear away edge that allows you to separate your sticks for planting and keep the bookmark for marking your page. Pack size when stapled and folded is 165mm x 42mm. Minimum order quantity is 250 units.